This Halloween marks the 90th anniversary of the death of master magician Harry Houdini. Undoubtedly recognized as the greatest magician who ever lived, Houdini was, in fact, an escape artist who could escape from impossible situations. That is what captured the minds of his audience in the 1920’s and still does today – the desire to escape from the problems and challenges that bind our lives, like the handcuffs and leg irons that bound Houdini. Houdini not only devised his own escapes, but would also accept challenges from the audience. In all cases, he escaped the same way. What was Houdini’s secret? Well, Houdini took many of his secrets with him to his grave, however, he did leave a few clues that may also help you escape from a challenge that seems inescapable. Secret #1: Discover all you can about the situation. Before Houdini would accept a challenge he did his research. He tried to discover as much as possible about the challenge, as well as the person offering the challenge. When you’re faced with a problem, try and learn as much as possible about that issue and any other people who might be involved. Secret #2: Create a plan of action that you can follow. Houdini always had a plan of action – a system – that he would follow. After you have done your research, create a flexible plan of action that you can follow. Secret #3: Remain calm. Many of his escapes put his life at risk and Houdini knew that any panic or fear could kill him, so calmness was key. Like Houdini, strive to think logically and not emotionally. By calmly viewing any situation, you not only come with ideas to solve the issue, but you also diminish the negative emotions of fear, worry stress and panic. 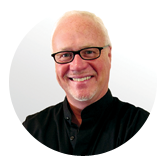 Additionally, a sense of calm will aid you in more effectively fulfilling your plan of action. Secret #4: Have a back-up plan. Like most magicians, Houdini always had a “back-up” plan just in case his first plan didn’t work. As mentioned, some of Houdini’s escapes could end up killing him if he didn’t escape in time, so a back-up plan was important. While your issue is more than likely not a matter of life or death, having a plan in reserve in case your first idea doesn’t work is not only wise, but also helps in eliminating stress and panic. Secret #5: Don’t over-think the situation. Sometimes the easiest or most obvious solution is the best. 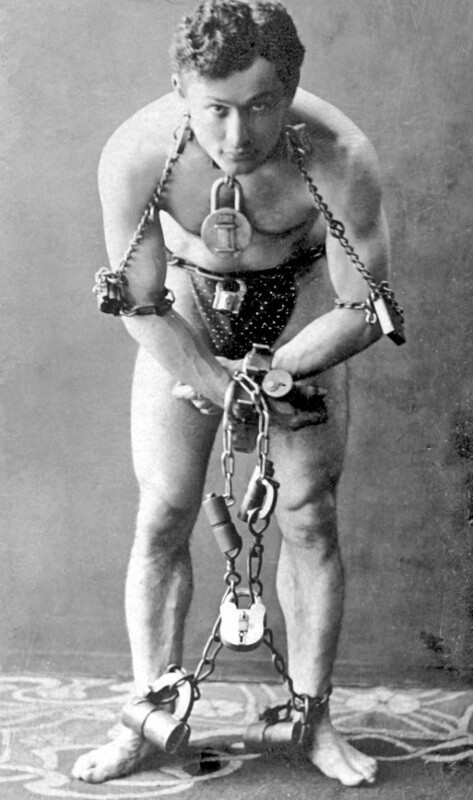 For example, one time Houdini was strip searched and locked in a prison cell that was “supposedly” beyond escape. After the guards left, and before he began his well thought out escape, Houdini just happened to lean against the door – and it opened. The guards had forgotten to lock the cell! By taking the easiest solution, Houdini escaped. Many times we try and complicate things when a simple solution will work. If a simple solution appears, don’t let your ego get in the way and force you to take the “hard road” – take the simple way out. Undoubtedly, Houdini will be remembered as a great magician. But he will also be remembered as someone who showed people that despite any challenge, there is often a way to escape a situation through an understanding of the problem, the development of a flexible plan and then, the calm and determined execution of that plan. Now that’s magic!